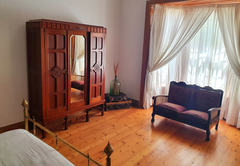 Betty's Guesthouse is a guest house with self catering option, providing accommodation in Graaff Reinet for tourists visiting the Karoo Heartland region. 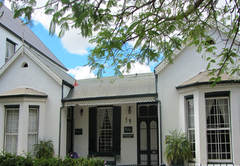 Betty's guesthouse is situated just a stone throw away from central Graaff-Reinet. A mere 10 minute stroll will get you to most of the restaurants, museums, sight-seeing, banks and shops. 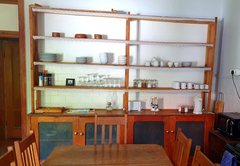 Betty's is in the main street running East to West and situated next to a Methodist Church's Manse and opposite the 'Nuwe Kerk' and very close to the famous Dutch Reformed 'Grootkerk' which is the central point of the town. Everybody has to pass this church when driving through Graaff-Reinet. 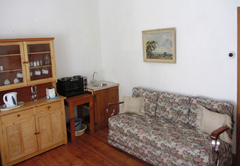 The guesthouse is ideal for small and large groups. 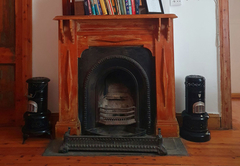 Betty`s Guesthouse has been furnished for both the discerning back-packer and families, who want to experience an old-styled way of living, but with all the modern conveniences. There are two accommodation units, Betty’s and Molly’s. 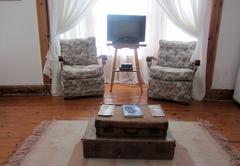 Betty’s has three bedrooms; bedroom 1 has a double bed, with a TV (selected DStv channels). Bedroom 2 has a double bed and single bed, with a kitchenette area. Bedroom 3 has three single beds. 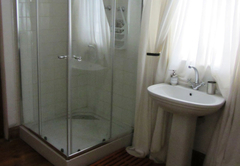 There are two bathrooms, one with a bath and shower and the other has a shower only. 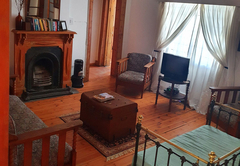 A spacious lounge area with a open wood fireplace and a TV (selected DStv channels) a fully equipped kitchen for self-catering and secure off-street parking behind a locked gate. 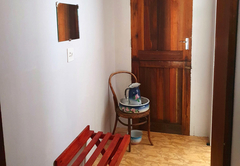 Outdoor braai facilities are available. Betty’s accommodates a maximum of nine people. Bedding, linen and towels are provided. 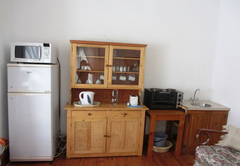 Molly’s has a kitchenette equipped for self-catering and lounge with sleeper couch and a TV (selected DStv channels). 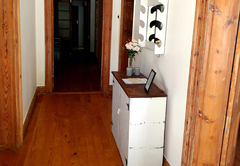 The unit has a separate bedroom with a double bed and single bed, en-suite bathroom with a shower only, private entrance and secure off-street parking. Molly’s accommodates maximum three people. 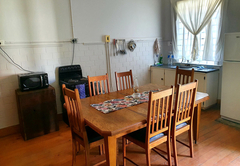 Betty’s has 3 bedrooms, 2 bathrooms (one with bath & shower and the other has a shower only), lounge, spacious kitchen fully equipped for self-catering and secure off-street parking. Betty’s accommodated max 8 people. Bedroom 1 has a double bed; Bedroom 2 has a double bed & single bed, Bedroom 3 has 3 single beds. Bedding, linen & towels are provided. 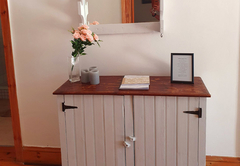 Molly’s has a kitchenette equipped for self-catering & lounge with sleeper couch, separate bedroom with double bed & single bed, en-suite bathroom with shower, private entrance and secure off-street parking. Bedding, linen & towels are provided.